Pass Your DMV Evaluation! Pass your DOT Physical Exam! Dr. Johnson knows how important it is that you continue your livelihood as a commercial driver. With his extensive knowledge of the DOT Physical Exam medical guidelines, Dr. Johnson will steer you through the CDL Physical Exam requirements so you can Keep on Truckin’. Need your DMV Evaluation Today? We know your time is valuable! Same Day Appointments, just give us a call! No Waiting! We are committed to getting you back on the road in no time. Looking for a DOT Physical Exam or CDL Physical Exam in Rancho Cordova, CA near West Sacramento, CA? You’ve come to the right place! Serving the WEST SACRAMENTO, CA area! From Highway 50 in Rancho Cordova, take Sunrise Blvd south for 1 mile and turn right onto Whiterock Rd. Turn right again into the second driveway after the Shell/Flyers Gas Station. From Grant line RD. take Sunrise Blvd North and turn left onto Whiterock Rd. and follow the same directions as previously stated. Dr. Thomas Johnson is a National Registry Certified Medical Examiner performing the CDL Physical Exam for commercial drivers. He graduated from the Palmer College of Chiropractic-West and has been in practice in Rancho Cordova, CA. since 1990. During his practice term, he also worked as a Chiropractor for Sutter Occupational Medicine from 2001 until 2005. 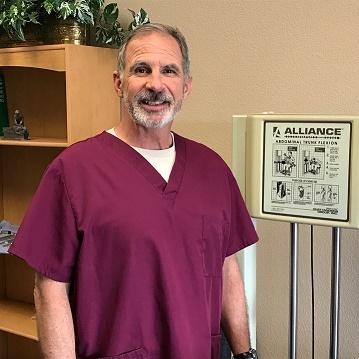 Dr. Johnson was has been a company doctor for following companies including; Wal-Mart, American Medical Response, Automotive Import Manufacturing, and others in the Rancho Cordova area. Maximum Occupational and Chiropractic Health Ideal Family Health Center P.C.